The 8th Uruguay Summer Camp was held in the Military Vacation facilities in Salinas on March 15, 16 & 17. 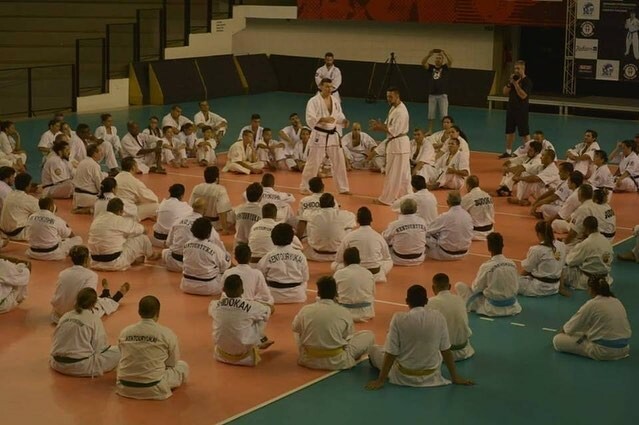 The Summer Camp was organized by the Uruguayan Kyokushin Kai Association A.K.K.U., and technically led by Sensei Germán Carballo 4th Dan (Uruguay IFK Country Representative). 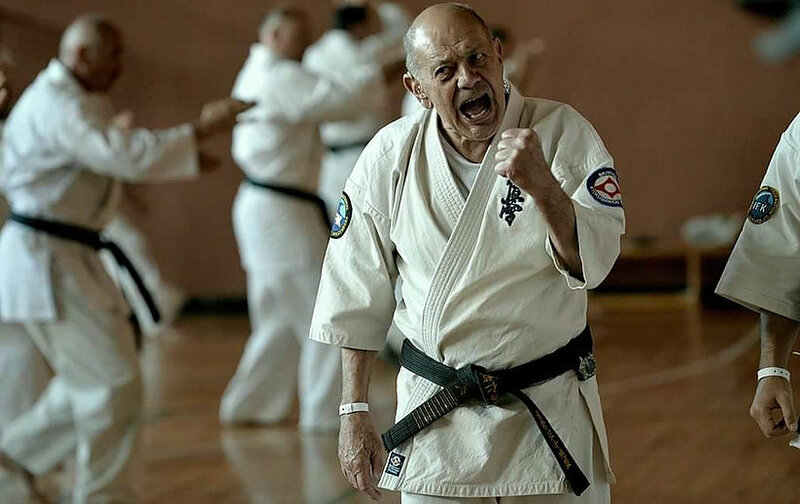 With over 30 participants, all the dojos from Uruguay were present, including students and instructors from Montevideo, Canelones, Soriano and Salto. 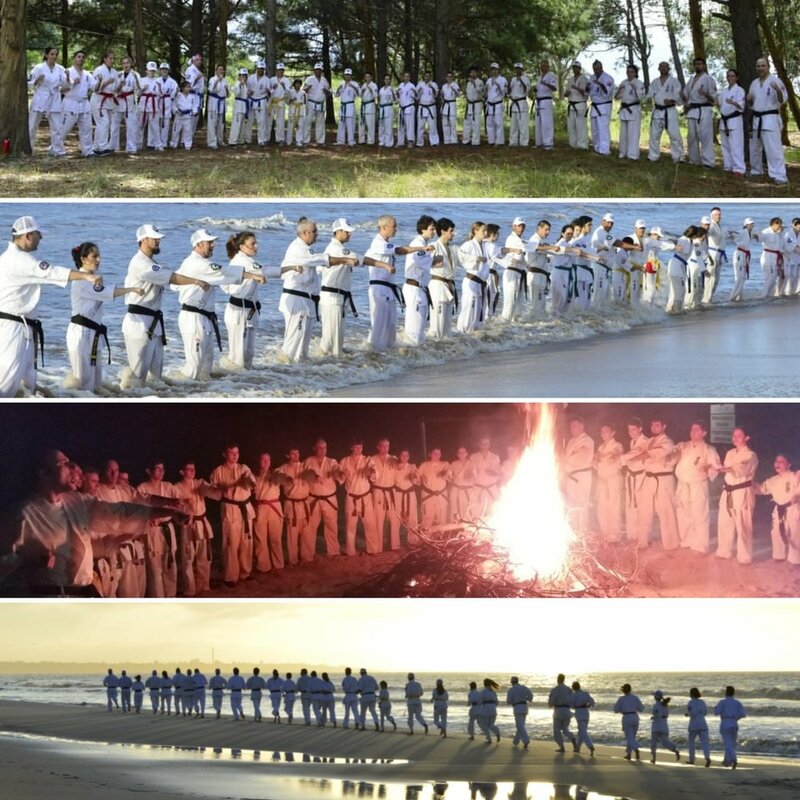 Nine trainings took place focusing on technique as well as physical conditioning and strengthening in several different locations including the beach (both in the water and sand), the woods, as well as indoor. 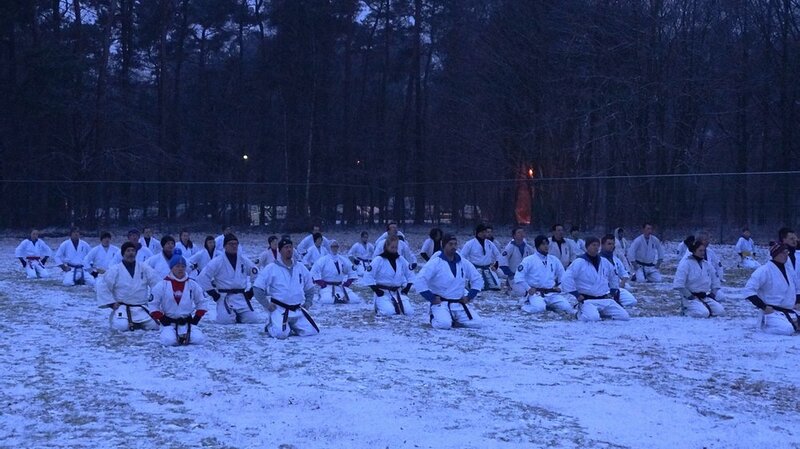 A special technical training for advanced grades (as from 3rd kyu) was held covering advanced katas. As usual, the Camp included KYU and KURO OBI (1st dan) gradings, the 20-kumite challenge for Kuro Obis who successfully obtained their 1st dan during 2018, and the addition of the 25-kumite challenge for Ni Dans. A.K.K.U. would like to thank the everyone's effort to be a part of this event. 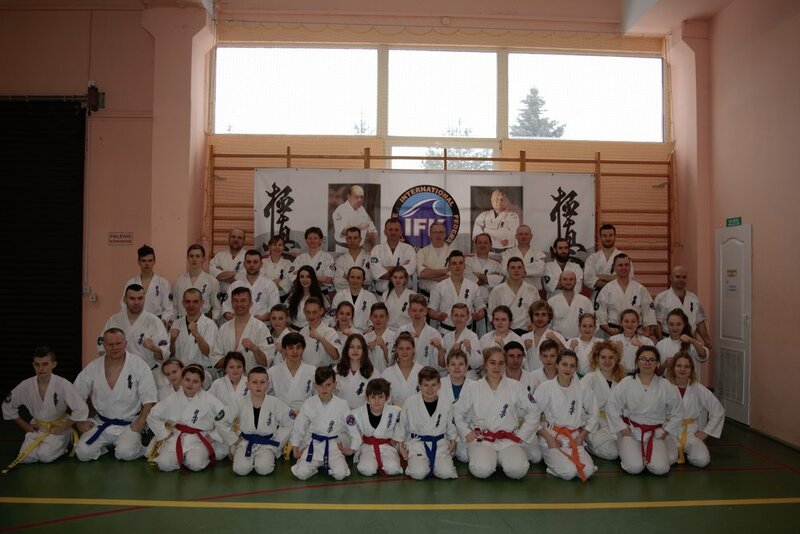 IFK Ukraine their celebrated their 25th anniversary with a seminar at the headquarters in Kiev. Country representative Shihan Oleg Sereda invited international instructors to the event with Vice President Shihan David Pickthall leading the main sessions with the assistance of Shihan Andrew Turner GB and Shihan Dmitry Aleknovich Belarus. There was also a successful dan test and of a superb celebration meal in a traditional Ukrainian restaurant. 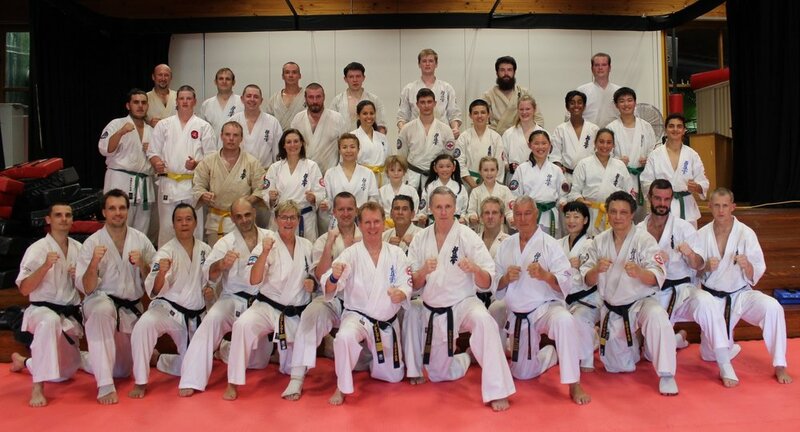 The 3rd IFK World Black Belt Seminar took place between 27th April and 1st May at the famous Papendal Olympic Sports Centre in the Netherlands. Hanshi Steve Arneil along with his instructors Shihan's David Pickthall, Liam Keaveney, Alexander Taniushkin, Eddy Gabathuler, Janine Davies, Victor Fomin and Alexey Gorokhov hosted sessions on Kihon, Kata, Kumite and Weapons along with guest classes in BJJ and Krav Maga. 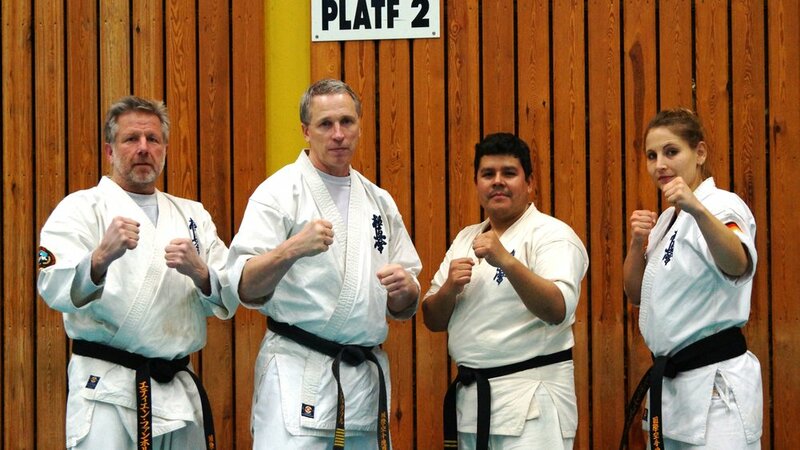 Additionally, special guest instructor Shihan Semmy Schilt joined the group. 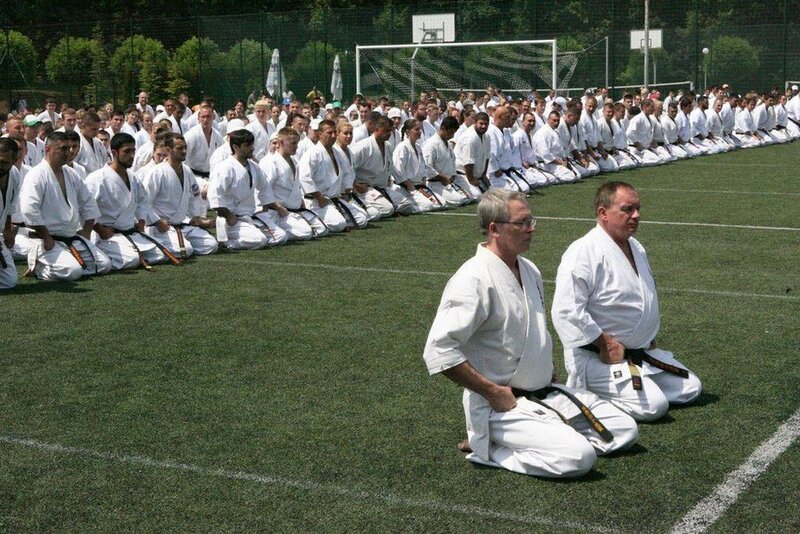 175 black belts from 21 countries participated with a final-day "kyu grade" open day. Argentina, Armenia, Australia, Belarus, Belgium, Brazil, Canada, Great Britain, Germany, Israel, Iran, the Netherlands, Nepal, Norway, Poland, Romania, Russia, Switzerland, Ukraine, Uruguay, USA. 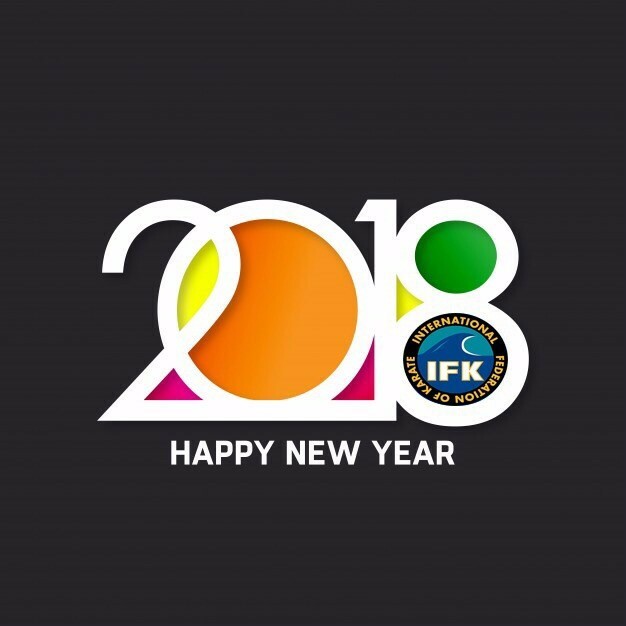 The IFK want to thank the organising team led by Sensei Kevin van der Boor who have done a tremendous job to make this event run smoothly. 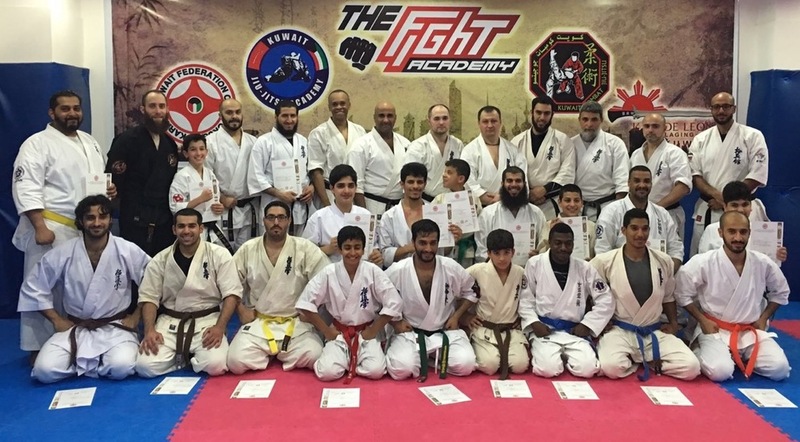 IFK Kuwait recently completed the 2nd camp in Kuwait with instructors Shihan Bogushov Vasilii and Sensei Tochilov Artem from IFK Russia. The camp was attended by by adults and juniors alike who were introduced to IFK Russia's training methods.